A virus component called spike glycoprotein (S) and a host cell receptor called dipeptidyl peptidase 4 (DPP-4) are targets in researchers’ efforts to stop the spread of MERS, the Middle East respiratory syndrome, and possibly treat it. MERS is caused by a coronavirus implicated in 684 deaths since September 2012, according to the World Health Organization. The MERS coronavirus (MERS-CoV), which causes acute respiratory disease and can lead to pneumonia, kidney failure, and death, was first identified in Saudi Arabia in 2012. For years, researchers have been studying how the virus attacks cells and working to develop antibodies that could be used in MERS-CoV vaccines or therapeutics. MERS-CoV invades host cells by attaching to their DPP-4 receptors. A receptor-binding domain (RBD) of the S protein is what helps the virus latch onto a host cell, while a second subunit of the protein initiates fusion with the cell, explained viral immunologist Lanying Du of the New York Blood Center. She and colleagues described the process in detail in Expert Opinion on Therapeutic Targets last December. One focus of Du’s research is developing monoclonal antibodies (mAbs) specific to the RBD of the viral S glycoprotein. These mAbs block attachment of MERS-CoV to host cells’ DPP-4 receptor. 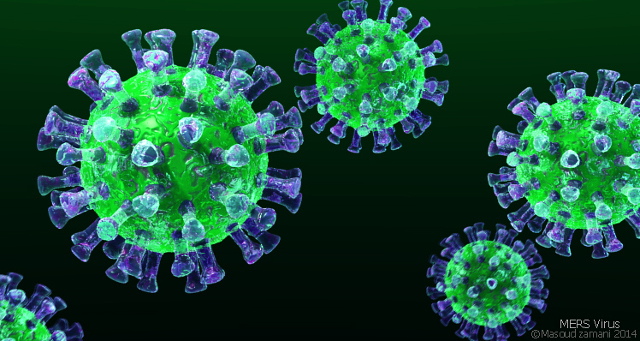 One mAb, called hMS-1, protected transgenic mice against the MERS-CoV infection in a single dose, Du and colleagues reported in Antiviral Research last August. Other RBD-specific mAbs tested in animal models have provided protection against infection. Researchers are now developing vaccines based on either full-length S protein or just the RBD, hoping to trigger the body to produce neutralizing antibodies that block MERS-CoV infection. 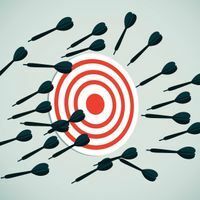 RBD-targeting vaccines prevent binding from the get go, while those that target the whole protein could additionally elicit antibodies against the second step of viral invasion—fusion with the host cell—as well as antibodies that might not prove protective, Du said. So far, both types of vaccines have been shown to protect against infection in human cell culture and in mouse models, but researchers don’t yet know which vaccine will prove most effective in humans, microbiologist and immunologist Matthew Frieman of the University of Maryland wrote in an email to The Scientist. The difference could come down to timing, said Kayvon Modjarrad, who studies emerging infectious diseases at the Walter Reed Army Institute of Research in Bethesda, Maryland. “If you prevent the attachment of the virus to a host cell from the beginning, you have a better chance of preventing viral insertion in to the cell,” said Madjarrad, who is part of a team that is running a Phase 1 trial testing a vaccine targeting the entire MERS-CoV S protein. This is the first vaccine to be tested in humans, with another clinical trial—testing other antibodies—also underway. Most other work, specifically on RBD-targeting mAbs, remains in preclinical development. Meanwhile, host cells’ DPP-4 receptors may be a target in MERS therapeutics, but results to date have been mixed. DPP-4 receptors are expressed in cell types found in the lungs, intestine, liver, and connective tissue, as well as in certain immune cells, including macrophages. And as researchers reported in a January 2017 study published in Oncotarget, the interaction between the MERS-CoV S protein and DPP-4 macrophage receptor initiates a series of signals that suppress the immune system’s response to infection “It is important to know how the MERS coronavirus affects the biology of infected cells,” coauthor Ahmed Al-Qahtani of the King Faisal Specialist Hospital and Research Center in Riyadh, Saudi Arabia, wrote in an email to The Scientist. 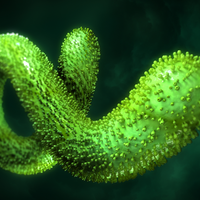 Creating a pseudovirus that expresses MERS-CoV’s S protein but not any of the viral particles that trigger replication, Al-Qahtani and colleagues interrogated the effect of the S protein on human host cells. The interaction between the S protein and DPP-4, the researchers found, boosted the levels of proteins known to inhibit immune responses. High levels of the intracellular protein IRAK-M, for example, prevented toll-like receptors from activating macrophages against infection, and increased expression of PPARγ, a nuclear protein, suppressed the induction of pro-inflammatory cytokines including TNFα. Production of IL-10, a protein that reduces both innate and adaptive immune responses, also increased. MERS-CoV entry is not inhibited by blocking DPP-4 activity, Frieman said. 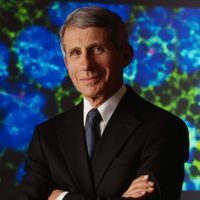 But influencing the receptor’s enzymatic activity before viral entry could be important for the immune response to the virus, he said, noting that the most prevalent comorbidity in severe or lethal MERS-CoV cases is diabetes, an observation made in 2013. Knowing this, Al-Qahtani and colleagues treated cells with the DPP-4 inhibitor sitagliptin, which is currently used to treat insulin resistance in diabetic patients. Sitagliptin reversed the immunosuppressive actions of the virus, suggesting that DPP-4 inhibitors might hold therapeutic value, the team found. The results have yet to be confirmed in animal models, however. 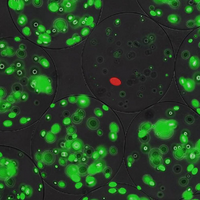 “Any experiment performed with isolated cells needs to be confirmed in animals before I would consider it a useful approach,” microbiologist Stanley Perlman of the University of Iowa told The Scientist. Modjarrad noted that research toward MERS-CoV therapeutics is “really far behind,” with few, if any, viable treatment options available today. Vaccine development has been relatively sluggish, too, compared with work toward immunizations against other viruses, like Zika and Ebola. MERS hasn’t affected as many people as Ebola or Zika, but it remains a public health threat, he said. A.A. Al-Qahtani et al., “Middle East respiratory syndrome coronavirus spike glycoprotein suppresses macrophage responses via DPP4-mediated induction of IRAK-M and PPARγ,” Oncotarget, doi:10.18632/oncotarget.14754, 2017. A. Assiri et al., “Epidemiological, demographic, and clinical characteristics of 47 cases of Middle East respiratory syndrome coronavirus disease from Saudi Arabia: a descriptive study,” The Lancet Infectious Diseases, doi:10.1016/S1473-3099(13)70204-4, 2013. L. Du et al., “MERS-CoV spike protein: a key target for antivirals,” Expert Opinion on Therapeutic Targets, doi:10.1080/14728222.2017.1271415, 2017. H. Qui et al., “Single-dose treatment with a humanized neutralizing antibody affords full protection of a human transgenic mouse model from lethal Middle East respiratory syndrome (MERS)-coronavirus infection,” Antiviral Research, doi:10.1016/j.antiviral.2016.06.003, 2016.